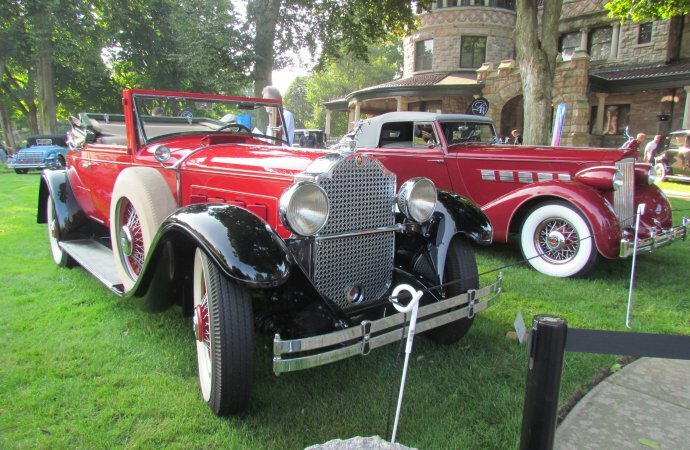 After a 13-year run from 2005 to 2017, organizers of the Lake Bluff Concours d’Elegance were told they no longer would be granted access to the park overlooking Lake Michigan where they held their event in the southwestern Michigan community of St. Joseph. But it didn’t take long for another venue to be found. Less than 40 miles to the south, the staff at the Studebaker National Museum in South Bend, Indiana, had been mulling a dozen ideas for a special event. The choice became easier, even obvious, after Lake Bluff founder and former chairman Dar Davis called and offered his help if the museum considered hosting a concours of its own. 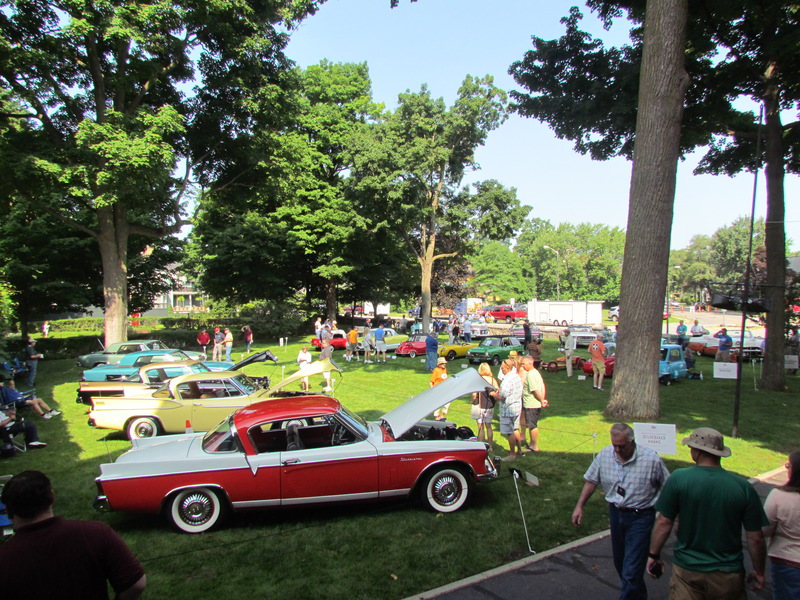 The museum was more than interested, and invited its neighbor, The History Museum, to make the inaugural Concours d’Elegance at Copshaholm a joint venture, the first such cooperative effort by the neighbors. 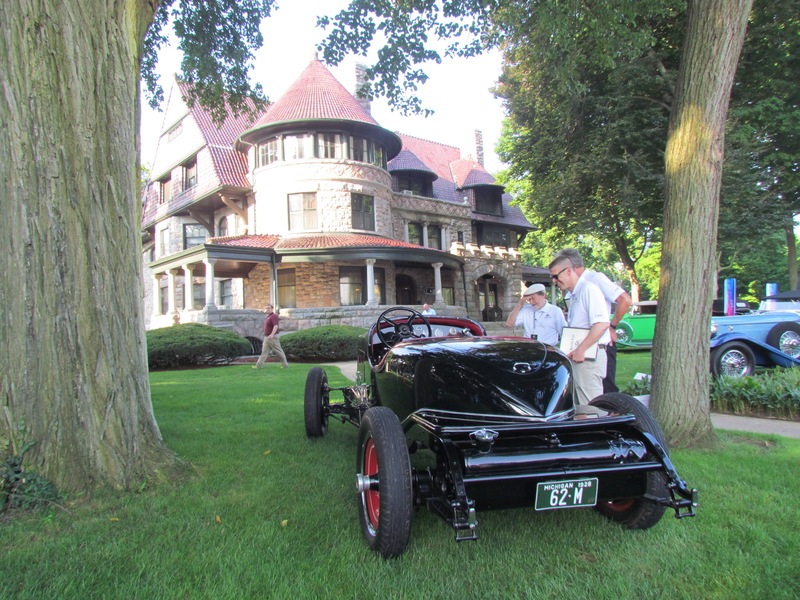 The first Concours d’Elegance at Copshaholm was held this past Saturday (8/11/2018) on the grounds of the Oliver Mansion and Historic Oliver Gardens. The mansion, which the family called Copshaholm, the ancient name of the family’s ancestral village in Scotland, is a 38-room Romanesque Queen Anne house built in 1895 by industrialist J.D. Oliver, president of the Oliver Chilled Plow Works, a company founded by his father. “Never Been Kissed” — a class for barn-finds and survivor cars. The Indianapolis Motor Speedway Museum, the Gilmore Car Museum, America’s Packard Museum and the Auburn Cord Duesenberg Museum sent cars to the event.